Mayor Sampath Raj's tenure ends in September. Sampath Raj, the 51st Mayor of Bangalore, finishes his term as the first citizen of the city in September. As the race for his successor heats up, we caught up with the man for a chat on his experience as the Mayor of Bangalore, on city administration, and other pressing issues. Much like that of a seasoned politician, his interview turned out to be more interesting for what he hinted at, rather than what he said. A mayor is considered a figure head and is not really considered very powerful. Is that what your experience has been in office? The position of the Mayor is a very responsible one. It needs close attention to the development issues facing Bangalore. People expect a lot from the Mayor and expect development to be led from the Mayor’s office. Being the head of the Corporation, the Mayor himself is expected to lead many initiatives. So I think it is a very honourable post. And we have to deliver on the people’s expectations. But do you believe that comes with real powers? Or is it just a nominal position of leadership? Sanctioning powers may rest with the Commissioner of the BBMP. But I would like to appreciate and recall that whenever important decisions have been taken, the mayor has been consulted and given priority in discussions over the matter. The Commissioner has been very accommodating regarding decisions I have taken. He has made sure that those decisions have been implemented. There have been some cases, where he has voiced his concerns as well about my suggestions and decisions. On the whole, I would say it has been a collaborative effort. There have been a number of arguments demanding the direct election of the Mayor for Bangalore, with a five-year tenure. What is your take on the matter? We have seen a lot of places that have a five-year tenure for the mayor. But I believe that even one year or perhaps two is also good enough for you to do good work. Each one of us has our own calibre and strengths and views regarding how to make our city better. We have seen Mr Manjunath Reddy do some good work. We have seen Padmavathi madam do some good work too. I have followed in their footsteps and taken forward what they did, to the best of my ability and the next mayor will take forward what I have started. What about having a directly-elected mayor? Do you subscribe to that idea? Fair enough. It will give the people their choice of a mayor for their city. It is not a bad idea. It is in fact a good idea. We have seen recent initiatives like the C40 cities – Air Quality Network; how do you expect your successor to take it forward? What would be your advice? The most important ‘valuable’ for a Bangalorean today is time. We are a city that is growing in every sector. Literacy and education levels are increasing. Young people are vibrant. Even senior citizens are so active. We were a pensioners’ paradise once, but today senior citizens too, after their retirement, volunteer and put in their best efforts to make Bangalore liveable. Time is money and time is most valuable. We need to make sure that Bangalore traffic is not where this time is wasted. Good extension and use of metro, last mile connectivity, reduction of air pollution and synchronisation of traffic can be done. So these are the issues that you think your successor should prioritise? It is one of the issues. There are other issues as well – healthcare, education, good water for the city. We are seeing a lot of development in Bangalore under various programmes – smart city projects, Tender SURE roads, grade separators, extension of Metro lines. Today, we want to make sure that people have access to all basic facilities, good parks. I think the new mayor should pitch in and take forward the projects that have been looked at over the last few years. What ever Manjunath Reddy and Padmavathi did, I am carrying that forward. As the elected head of the Council, what would your suggestions be to improve its efficiency? A lot of the subjects which are scheduled for discussion never come up in the council, the Public Bike Sharing (PBS) project for example. What are your observations? The particular matter of PBS was appreciated by all the corporators, but it was put on hold because of the Code of Conduct and not because of any other delay. If you study the discussions of the Council in the last fifty years, I would say the quality of it last year has been very good and the sessions have been effective. The Corporators are dynamic and educated and have attended in large numbers. The opposition has not opposed issues just for the sake of it. I think a lot of good things have happened in the Council this year. Have you had regular ward committee meetings in your ward, what has been your experience? How did you choose the members? After the Court directions came in about the formation of ward committees, DJ Halli was the first ward to have them in place. If you look at the proceedings, you will see that we have had meetings every month and I have attended them even after I took over as the Mayor. I have three journalists in my ward committee – one from The Times of India, one from India Today and one from Doordarshan. They are all residents of my ward and one of them is the president of the Resident Welfare Association. But they were chosen for their understanding of policy matters. I think the ward committee has a very important role to play in monitoring the on-going projects in the ward; to bring clarity and transparency on the way they are being implemented. Do you think the BBMP should communicate its work better to the people – for example, publish council meeting and committee meeting minutes on the website? Of course! In previous times we had area sabhas which were popularised by Mahatma Gandhi. His idea that the people of the community/village had to participate in its development holds relevance to this day. Every village was therefore a designated place for these discussions. This concept was there even in a pre-Independence India. If there is public participation, development happens much faster. The BBMP has been dealing with financial hardships for a while now. Funds crunch has meant employees don’t get paid on time, contractor’s bills get held up affecting the quality of work. Do you agree with the B S Patil Report that recommends dividing the city into five palikes, for better administration? That Bangalore is growing is an inescapable fact.There is no doubt about it. But it isn’t (a responsibility) that one Mayor and one Commissioner cannot handle. I have handled it, have travelled to every corner. We have zonal Commissioners with whom responsibilities are vested. So we can definitely handle it. But if there is a view, a public opinion … (trails off). As the mayor of Bangalore, I have been able to stand by my commitments. So you don’t think that a smaller Palike would be more effective to administer? I am saying, I could cater to all who needed me. I have been able to reach out to every part of Bangalore City when it needed me. And the administration is going on well. You are a corporator and have also stood for MLA elections. How do you think the scope of Councillors and MLAs may be clearly demarcated and how similar do you think the roles are? MLAs are an extension of the corporator. About eight wards fall under each MLA. 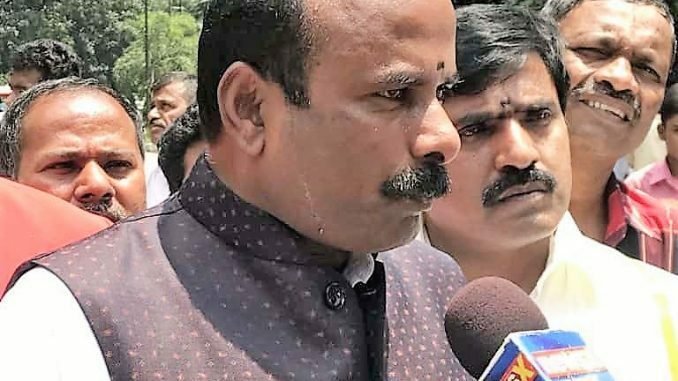 If you look back, most of our MLAs and ministers started out as corporators — Suresh Kumar, Ramalinga Reddy, Roshan Baig, V Sommanna – they all started as corporators. The experience definitely helps. Many activists demand more autonomy and power for the BBMP, and feel that the state and its MLAs should not interfere in local issues. What is your take on it? Do you think MLAs interfere in local issues while their job is actually to legislate and not worry about footpaths etc.? I absolutely don’t see a problem in MLAs interfering. We have an MLA in my ward too and he pitches in as well for civic development. Everything cannot be done by the Corporation. There are things that need to be sanctioned by the government. So the relationship between an MLA and a corporator can bring about a lot of good things. For that matter, why only the MLA – even the MPs. For example, in the issue of suburban railways, we sought the help of MPs. But my question was with regard to the interference of MLAs in matters of local governance, which does not fall under their jurisdiction. Do you think their role should be limited to legislation and making laws? I feel, it depends on what one’s (the corporator’s) relationship with the MLA is. A Congress MLA will hardly ever have all seven corporators belonging to his party. It is the way democracy works, where people elect those who will deliver. So there can be BJP corporators, JD(S) corporators and Congress corporators under a Congress MLA. But you should also understand that after elections, there is no politics and just development. So you have to gel with the MLA and the MLA has to collaborate with the corporators, and carry on. You had announced deadlines to fill potholes in the city. Not all of them have been done. a couple of engineers were suspended too but have been reinstated. Has it only been lip service? Where do you think the Palike fell short? This is an ongoing process. A road which is absolutely fine can develop a pothole tomorrow. So, to say that we did not do enough will not be right. It has to be periodically filled up. It is not rocket science that it needs to be taken up at the ward levels. It is for this reason that we have taken up white-topping around the city to ensure longevity of about 25 years for these roads. Nrupatunga Road was done about four years ago and not a single pothole is there. If it were asphalted, we’d have to re-tar it every two years. We will be able to save our resources with this. The green cover in the city, much of which is under the protection of the BBMP forest cell, is constantly being threatened by development projects. How do we protect it from pressure — political and the timber mafia? There is no question of timber mafia. But when certain development projects have to be undertaken, some trees will have to go. We have been protective and made sure that for any project, the maximum possible number of trees are saved. You have just driven around with me (The interview was being conducted in the Mayor’s car as he drove to the Vidhana Soudha) and look around you, all of these trees have been planted in the last four to five years. Those trees you see near the high court, the yellow flowering trees – they have all been planted in the last four to five years. When Siddaiah was the commissioner, he and I planted so many saplings, which you now see growing around you (near Vidhana Soudha). As part of the pilot project that was being done by the PWD here, we planted all the trees. Even in Race Course Road, we have planted trees. They have all grown up today with 100% survival rate. Even outside the Corporation, when the road widening was done, we planted trees the same day. We had to replace the Gulmohar trees that fell down because of the rains. We make sure that every ward plants at least 500 to 700 plants every year and that at least forty percent of these survive. We should appreciate the enthusiasm of the general public and the Corporators for their enthusiasm in protecting the greenery of Bangalore and working towards restoring its glory as the garden city. That is why we can still see so many trees. And many of them are not heritage trees. But not really, sir. All of these have not been planted in the last ten years…? No, Madam. Inside BBMP, all the yellow flowering trees have been planted recently — in the last 4 or 5 years. In my tenure, protecting greenery, rain water harvesting, protection and rejuvenation of lakes have been given utmost importance and we will go back to being called the garden city. Is that what you would classify as your biggest achievement in office, then? My biggest achievement has been to meet the expectations of the people. That’s a politician’s answer, Sir. My question was, what has been your biggest contribution or achievement in your tenure? Residents celebrated World Environment Day with tree planting. Water supply and waste management is the priority says the New Mayor. Will he follow through or will it be yet another scam ridden, bankrupt year for BBMP? VERY SORRY to state here that the outgoing Mayor SAMPATH RAJ VARU did precious little and DID NOT AT ALL DELIVER THE EXPECTATIONS OF THE BENGALUREANS, as He claimed to have done so !! It was all a typical Politician’s talk. So will be the case with the incoming Madam Mayor !! All that these folks will do during their tenure is to make themselves popular or notorious by their own deeds & misdeeds !! >>Nothing on the horizon a GOOD SAMARITAN to carry out the Citizens’ Aspirations to work honestly with integrity & self-sacrificing nature !! The Almighty shd be Gracious enough to bless US ALL !! Even when ORR is crowded to the peak, I find it amusing that Bagmane WTC got permissions to start constructing even more buildings (each one approx 14 floors) to rent to new companies which would come there for STP tax benefits from government. Why the STP and government need to give concession to companies to do business in already congested area! Even established companies like Wipro are still relying on Tax concessions to remain profitable! STPs are setup in areas outside the main city to attract people and companies there, not in already established or congested business areas. Political contacts and money can buy you anything. Already government is unable to supply water, maintain roads, control congestion, but they will not regulate mindless growth as they gain tax money and huge land registration fee. The area will start selling in square inches and will cause exponential inflation in prices. If you want to buy or rent in this area start the cost will be exorbitant. If you want to stay far, be prepared to spend 2–3 hours on the road daily. And then on top of it blame it all on immigrants. Because of course government is only providing jobs and facilities to you. Why not let the industry go to other areas and let other area develop economically? How much tax do you need and what are you doing with it anyway? Wish Bangalore had better governance. It would have remained such a great place like in the past if only they could have regulated a bit better and planned something. Except for marking the roads as 1st cross and 2nd main, nothing else is planned or controlled or regulated here.